We're going to Paris and Calais in Reading Week to provide practical support to migrants and refugees, in particular the thousands who are sleeping rough in the city during the coldest months of the year. With your money we plan to buy and distribute WARM CLOTHING and HYGIENE PACKS including shampoo, toothbrushes and so on. On a preliminary trip last December, we met people camping in tents by the canal, people waiting days and weeks to get into a 'Centre d'Accueil' (reception centre), unaccompanied minors without a roof over their heads, and migrants and refugees struggling for recognition, for security and for their basic daily needs. In solidarity with all victims of Fortress Europe, our trip will involve: distributions of clothing and basic daily items, helping with food distributions, demonstrating with our undocumented brothers and sisters and helping out in a creative arts project. SOAS Goes To Calais and Beyond has been organising trips to Calais and around Europe for several years now. Last year's project in Paris aimed to send the message: the damage and pain caused by Fortress Europe is everyone's responsibility. Not everyone can travel, but by giving us a tenner, you're helping to make our message: We will not stop until every refugee and every migrant is able to live a dignified life in safety. 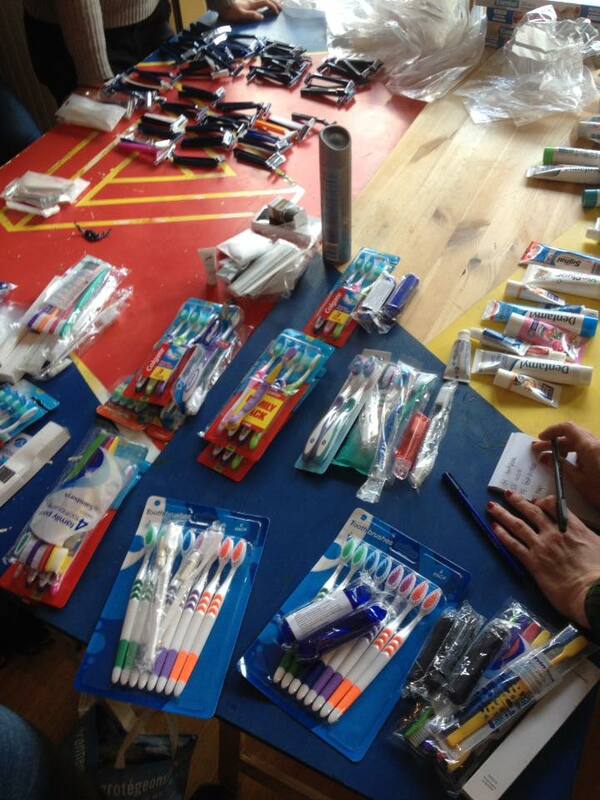 We welcome donations in kind- contact soas2calais@gmail.com to arrange London drop-offs! If we go over our target, we will be contributing to buying phones and phone credit for unaccompanied minors. Follow our Facebook page https://www.facebook.com/SOASGoesToCalais/ for daily updates, photos and news. got no cash? give us a share! We don't mind if you don't have any money- we often don't either. A personalised SGTCAB hoodie with your name (or other chosen text) on it!